New research from the Eli Broad College of Business and Johns Hopkins University found that more than half of the recent personal health information, or PHI, data breaches were because of internal issues with medical providers – not because of hackers or external parties. 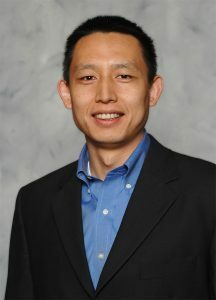 “There’s no perfect way to store information, but more than half of the cases we reviewed were not triggered by external factors – but rather by internal negligence,” said John (Xuefeng) Jiang, lead author, Plante Moran Faculty Fellow, and associate professor in the Department of Accounting & Information Systems at Broad College. While tight software and hardware security can protect from theft and hackers, Jiang and Bai suggest health care providers adopt internal policies and procedures that can tighten processes and prevent internal parties from leaking PHI by following a set of simple protocols. The procedures to mitigate PHI breaches related to storage include transitioning from paper to digital medical records, safe storage, moving to non-mobile policies for patient-protected information and implementing encryption. Procedures related to PHI communication include mandatory verification of mailing recipients, following a “copy vs. blind copy” protocol (bcc vs cc) as well as encryption of content.